With the unfortunate passing of the Realistic Equine Sculpture Society, publication of the organization’s newsletter The Boat has ended. The last issue was sent to members this past week. Like so many readers, I eagerly looked forward to each issue. Twice a year we were treated to 200+ pages of in-depth information on everything remotely related to the business of realistic equine art. I benefited immensely from what others wrote, and I was flattered to be asked to contribute articles of my own. When my friend Sarah (the tireless Boat editor) asked if I would do a regular column, she suggested that I write something more advanced that the usual “this gene does this” type of series. 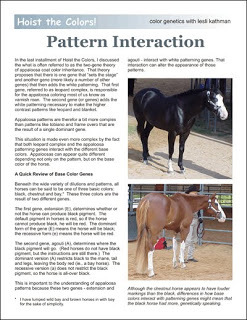 I jumped at the chance to explore a topic that I had only touched on briefly in previous seminars and articles, which was how the different patterns interact with one another. 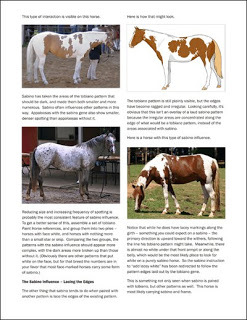 It’s pretty esoteric stuff for real horse people, but for us as artists there aren’t many aspects of horse color that are more useful. We need to know which interesting aspect of a reference can be realistically combined with a different pattern, because all of us do that a lot. Can this face marking go with that blanket pattern? If I decide to use grey as a background color instead of bay, what changes about the spots on my leopard? All of these are important questions for us, and I thought it would be fun to look at them from an artist’s point of view. 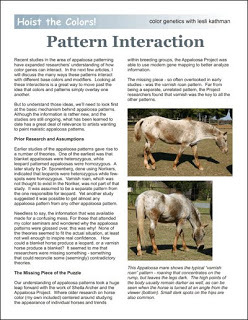 I decided to start with the appaloosa patterns. I had not written extensively about them before, and there was a lot of ongoing research into them. There was a lot of potential for new discoveries. 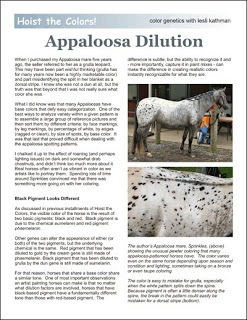 I also, as it turned out, had become the rather unexpected owner of a very loud appaloosa of my own. I probably will not get to the (almost finished) fifth part until after the first volume of the Color Book is published. Right now that is tentatively scheduled to coincide with Bring Out Your Chinas Convention in May. So if the blog is quiet in the upcoming months, know that I am just working on that – and the studio backlog. 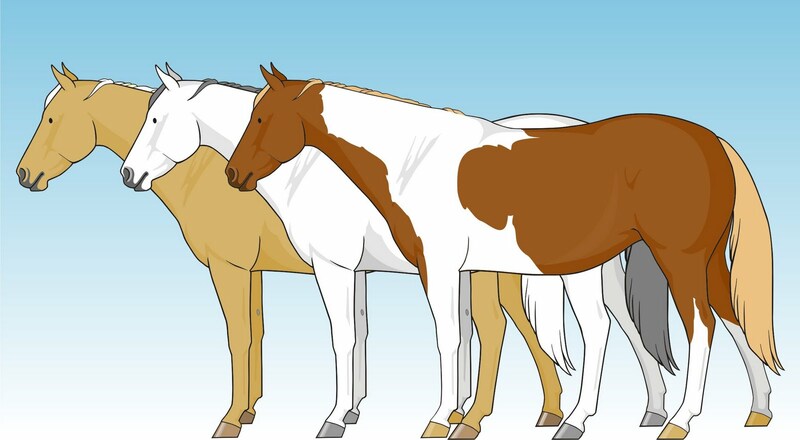 Once the first book is out, I do plan to split this blog off with a separate one devoted to horse color. I have been told that publishing tends to flush out missing information (that is, you will get a lot of corrections! ), which has been part of my motivation in writing. I want to make that easier, so a blog seems logical. I just don’t want the subject of horse color, which by its very nature is likely to generate a bit more two-way conversation, to overwhelm the studio chatter here. So watch for that later this year! In the meantime, I’ll still be posting the goings-on here at the studio. I am not sure there will be a lot of new information since I am focusing so much on the books. But little by little I am trying to wrap up stalled projects, and as those are finished I will try to post pictures at the very least. There has been a very interesting discussion on the member forum for the Realistic Equine Sculpture Society about how the equine collectibles community and the artist who work in it are perceived by equine artists working in the fine art world. Some of the comments reminded me of something I saw during my last visit to Brookgreen. One of the galleries there had an exhibit entitled “Fifteen Women: One Hundred Years of Sculpture”. One of the things that has always struck me about Brookgreen is just how many pieces in their collection were sculpted by women. It was also clear that many of the pieces were designed not for galleries, but for gardens. 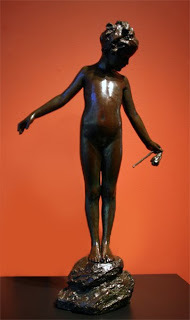 I have often wondered if the work these women did, often portraying children and animals, got the same kind of scorn from the “proper” art world. That proper art world was already turning away from realistic work; indeed, Brookgreen was established in part in reaction to that. Did the marginalized realistic sculptors of that era in turn marginalize these women for making expensive “lawn ornaments” just as some look upon artists in my field as making “toy horses”? I have never had a lot of concern about whether what I did was considered “art” or “Art” – or even craft. Having been raised by a commercial artist, I was indoctrinated in only one important distinction among artists: starving or not-starving. The idea of a viable market was always front and center among my considerations. But I think the quote above talks about what has kept me involved in collectibles. For any number of reasons, the average person finds Art intimidating and incredibly distant from their day-to-day life. I like the idea that we are making “high-quality sculpture accessible to a wider audience”.